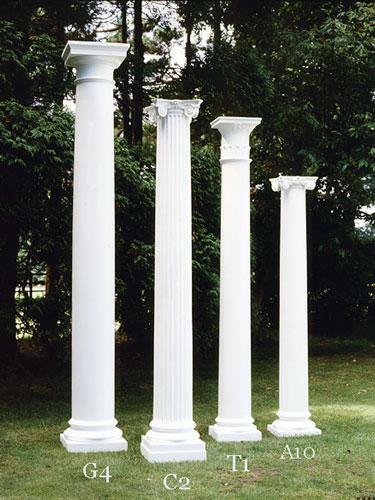 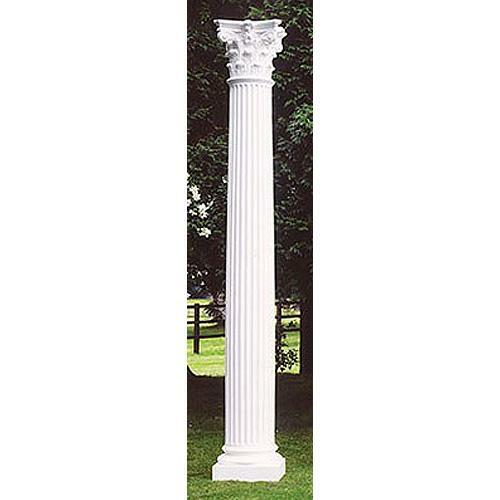 Plain, Temple of the Winds styled column in maintenance free GRP – max height 2400mm which can be reduced in height by trimming of the plinth (base) either on site or during manufacture. 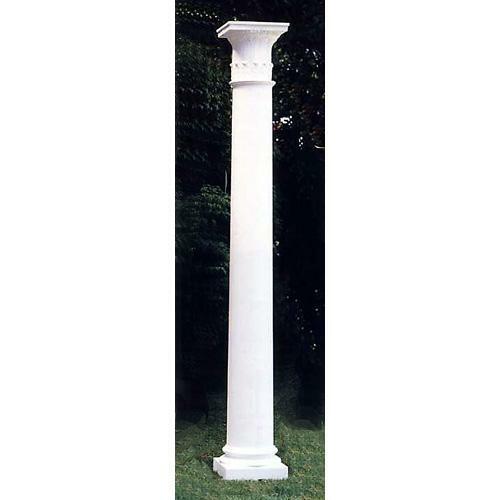 The Temple of the Winds capital is adorned with a single row of acanthus leaves that curl out and away from the capital’s lower surface. 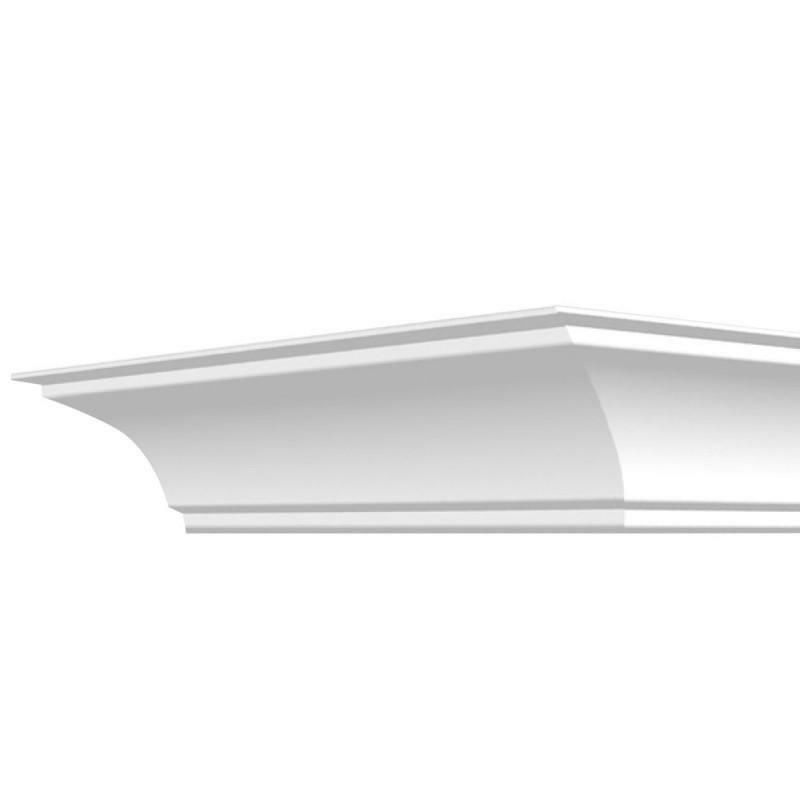 Above the acanthus leaves are a single row of stylized slender, pointed palm leaves. 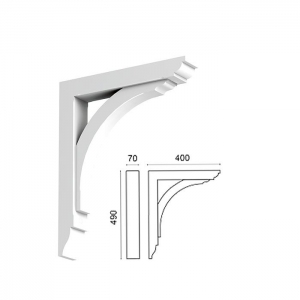 Also available as 2 ‘halves’ to clad round an existing steel support. 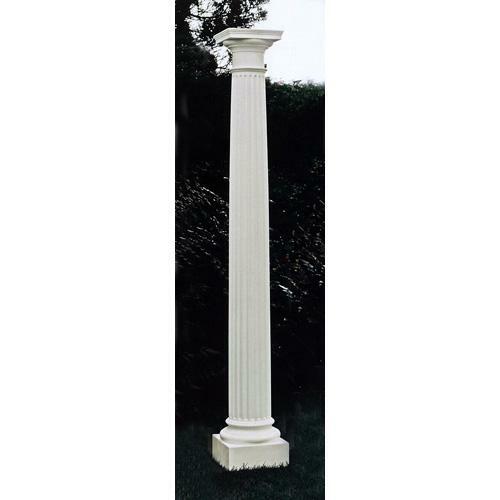 Column supplied as standard white, but can be manufactured to any advised RAL colour at extra cost.